“Great and amazing are your deeds, O Lord God the Almighty! Just and true are your ways, O King of the nations! Who will not fear, O Lord, and glorify your name? For you alone are holy. All nations will come and worship you, for your righteous acts have been revealed” (15:3-4). “Just are you, O Holy One, who is and who was, for you brought these judgments. For they have shed the blood of the saints and prophets, and you have given them blood to drink. It is what they deserve” (16:5-6). “Yes, Lord God the Almighty, true and just are your judgments!” (16:7). Because humans have been created in God’s image, we have a desire for justice (though we often have a twisted sense of what is right and wrong). We are troubled when we see injustice (e.g., the O. J. Simpson trial). God’s judgment is perfect. Why? First, God is never mistaken. “Shall not the Judge of all the earth do what is just?” (Genesis 18:25). Second, God is never partial. Third, God is never intimidated. Fourth, God is never unfair. “I the LORD speak the truth; I declare what is right” (Isaiah 45:19). “Will you even put me in the wrong? Will you condemn me that you may be in the right?” (Job 40:8; cf. vv. 1-5; Romans 9:20). With God, the punishment always fits the crime. “God always acts in accordance with what is right and is himself the final standard of what is right” (Wayne Grudem, Systematic Theology, p. 204). God is absolutely just: trust Him for salvation and trust Him daily. And they sing the song of Moses, the servant of God, and the song of the Lamb (15:3). 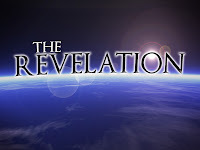 There are many parallels between Revelation 15 and 16 and the Old Testament account of the Exodus. First parallel: plagues. God brought ten plagues against Egypt (Exodus 7-11), and God will pour out seven plagues (bowls) on the earth. Some of these seven plagues are similar to the Egyptian plagues: sores (16:2), water turned into blood (16:3-4), darkness (16:10), and frogs (16:13). In 16:6, the angel says, “You have given them blood to drink. It is what they deserve!” The Egyptians deserved to have the Nile River turned to blood because they had killed the infant sons of the Israelites by throwing them into the Nile (Exodus 1:22). Second parallel: hardened hearts. After each of the plagues, Pharaoh hardened his heart (Exodus 7:14, 22; 8:15, 19, 32; 9:7, 12, 35; 10:20, 27; 11:10), and the people on earth “did not repent” and “cursed” God (16:9, 11, 21). Third parallel: the blood of a lamb. The Israelites avoided the tenth plague (death of the firstborn) by the blood of the Passover lamb (Exodus 12), and the saints avoid the judgment of God by the blood of Jesus, the Lamb of God. Fourth parallel: salvation and judgment. The parting of the Red Sea resulted in both salvation and judgment: salvation for the Israelites, but judgment for the Egyptians. 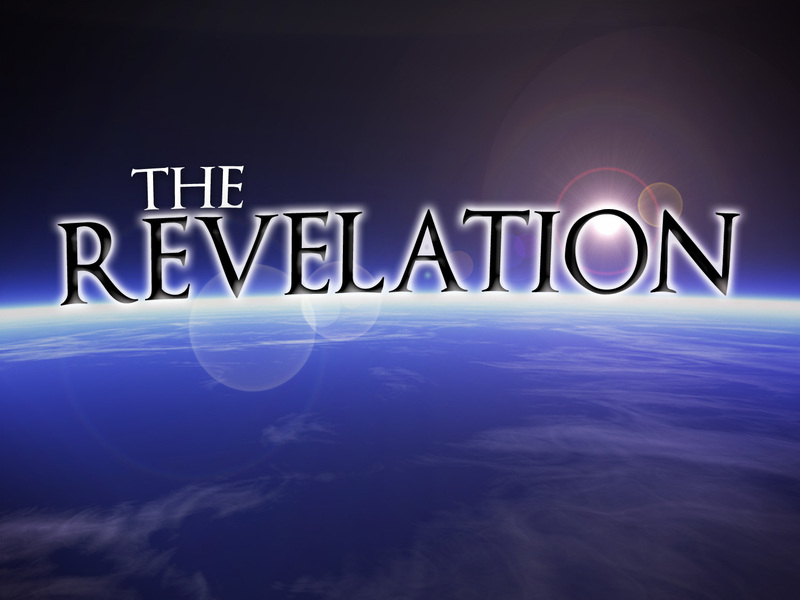 The Second Coming will result in both salvation and judgment: salvation for the saints and judgment for the unrepentant. Fifth parallel: the song of Moses. In 15:3, the “song of Moses” is sung in heaven. There are two songs of Moses in the Old Testament (Exodus 15:1-18; Deuteronomy 31:30-32:43). The first song was sung after the Israelites’ crossing of the Red Sea. “Who is like you, O LORD, among the gods? Who is like you, majestic in holiness, awesome in glorious deeds, doing wonders?” (Exodus 15:11). “The Rock, his work in perfect, for all his ways are justice. A God of faithfulness and without iniquity, just and upright is he” (Deuteronomy 32:4). Sixth parallel: the defeat of Satan. “You divided the sea by your might; you broke the heads of the sea monsters on the waters. You crushed the heads of Leviathan; you gave him as food for the creatures of the wilderness” (Psalm 74:13-14). In this passage, the Leviathan (a dragon-like monster) is a symbol of Egypt. Satan, the “dragon” (Revelation 12) was using Egypt to oppress God’s people. He was defeated then, and He will be defeated again when Christ returns. People often complain about the injustice in the world (“life is unfair”). Ultimate justice is present in only two places: in the lake of fire and at the cross. “Whom God put forth as a propitiation by his blood, to be received by faith. This was to show God’s righteousness, because in his divine forbearance he had passed over former sins. It was to show his righteousness at the present time, so that he might be just and the justifier of the one who has faith in Jesus” (Romans 3:25-26). This month we traveled to North Conway, New Hampshire for a family vacation. Traveling can be difficult if the kids are fighting in the back seat, or they’re asking every five minutes, “Are we almost there?”, or the baby is crying, or you get lost, or your car gets a flat tire. (Fortunately, we avoided most of these difficulties.) Following Christ is like a journey. Following Christ can be a difficult journey, but the destination will be rewarding beyond imagination. Then I looked, and behold, on Mount Zion stood the Lamb, and with him 144,000 who had his name and his Father’s name written on their foreheads (v. 1). The 144,000 (cf. 7:1-8) give us two ways to view our commitment to Christ. First, we are committed to Christ as His army. A “good soldier,” according to 2 Timothy 2:3-4, does not get involved in “the affairs of this life” (NLT) but always seeks to “please his commanding officer” (NIV). Second, we are committed to Christ as His bride. IN WHAT ARE YOU TRUSTING? “Fear God and give him glory, because the hour of his judgment has come, and worship him who made heaven and earth, the sea and the springs of water” (v. 7). “Fallen, fallen is Babylon the great, she who made all nations drink the wine of the passion of her sexual immorality” (v. 8). People make one of two choices: either they trust in the gospel, or they trust in substitutes. The first commandment states, “You shall have no other gods before me” (Exodus 20:3). An idol is a substitute for God. The substitutes (money, power, fame, etc.) don’t satisfy. The gospel is “eternal” (v. 6), but Babylon is “fallen” (v. 8). Babylon could be seen as symbolizing man’s self-reliance. (The number of the beast, 666, symbolizes man’s incompleteness without God.) In Daniel 4, King Nebuchadnezzar said to himself, “Is not this great Babylon, which I have built by my mighty power...?” (v. 30), and was humbled by God. If you trust in substitutes, you will be disappointed in the end. Jesus said, “What profit is it to a man if he gains the whole world, and loses his own soul?” (Matthew 16:26). As Christ’s army and bride, idolatry is betrayal. As Christ’s army, we must not betray our leader. As Christ’s bride, we must not betray our true love. “Sexual immorality” (v. 8) probably symbolizes idolatry (spiritual adultery). “And the smoke of their torment goes up forever and ever, and they have no rest, day or night, these worshipers of the beast and its image, and whoever receives the mark of its name” (v. 11). “Write this: Blessed are the dead who dies in the Lord from now on.” “Blessed indeed,” says the Spirit, “that they may rest from their labors, for their deeds follow them!” (v. 13). People have one of two destinies: either heaven, a place of eternal rest and reward or hell, a place of eternal unrest and punishment. When we traveled to North Conway, there were many possible routes we could have taken (the shortest route, the scenic route, etc.). Are there different routes to heaven? No. Jesus said, “I am the way, and the truth, and the life. No one comes to the Father except through me” (John 14:6). “There is salvation in no one else, for there is no other name under heaven given among men by which we must be saved” (Acts 4:12). My children found the trip long, but there were willing to endure it because of the destination: Story Land—and amusement park for kids. In the journey of life, there is a destination! The journey might be difficult, but the destination (heaven) is rewarding beyond imagination.